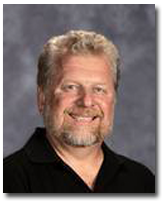 Welcome to the Washington Township Website, this is one of the many informational services that our township is proud to provide you with. I would like you to take this opportunity to browse through our website and become familiar with the programs and services that we as a township offer. Township Government is the truest form of a governing body that is “for the people, by the people”. We are able to make an impact on our resident’s lives because we are small and accessible. It allows us as a governing body the ability to go out, identify the needs of our township and in-turn deliver a solution, or work with other governing bodies to deliver a solution. We support solutions that benefit both our present and future township residents. Will County has opened an Electronics Recycling Site in Peotone. Visit our "Recycling Center" page for more information. Senior Assessment Freeze Assistance - May 31 from 10 AM - 2 PM - at the Washington Township Center. Please call for details! 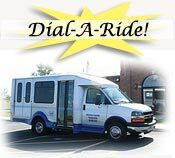 Washington Township's Dial-A-Ride service is now operating one day a week. We will take you anywhere within Washington Township. Call us at (708) 946-2026 for information. Need a ride outside of Washington Township? Washington Township has partnered with Will County and is now part of the "Will Ride" transportation system. Call us at (708) 946-2026 for more information.